"Everyone welcome to run on the same Cross Country course as the top High School athletes in the south west. It is FAST!" 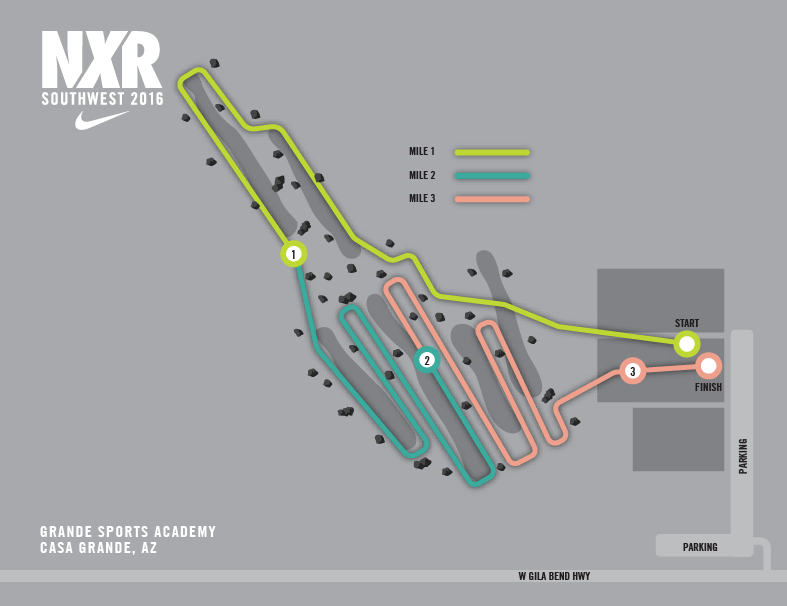 The Nike Cross Southwest is a Running race in Casa Grande, Arizona consisting of a 5K. The Regional Championships will serve as qualifiers into the annual Nike Cross Nationals event, scheduled for Saturday, December 3rd at Glendoveer Golf Course in Portland, OR. In the Championship Race the Top Two Teams and Top 5 Individuals will automatically qualify, and the 3rd and 4th place teams will be considered for an At Large berth. www.runnerspace.com	View Course Map	Incorrect Race Info/Update Race Details? Everyone welcome to run on the same Cross Country course as the top High School athletes in the south west. It is FAST!